KM Hair Extension Training provides you with the most popular up to date Hair Extension methods, if you are a looking to apply Hair Extensions as a full time career, add on to your current position or in your salon then you have reach the correct website. 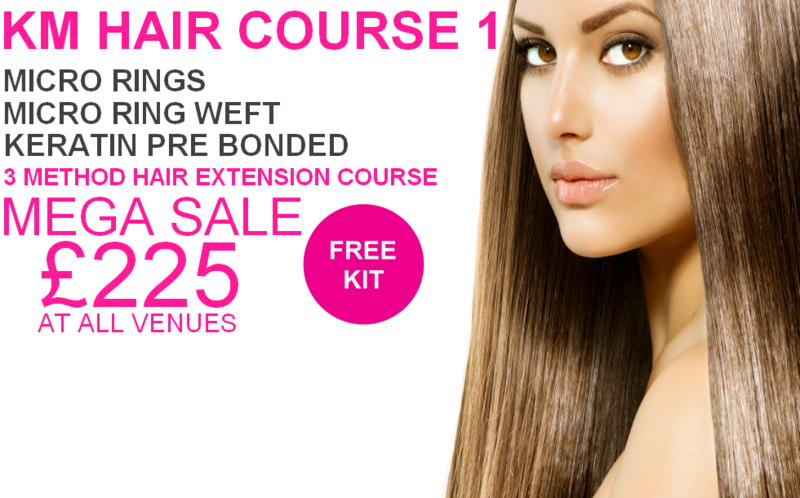 We have a wide range of Hair Extension Training courses available such as Pre Bonded Hair Extension Courses, Micro Rings Hair Extension Training, Ultrasonic Cold Fusion Hair Extension course and even Weaving Hair Extension Weaving Courses. KM Hair Extension Training Courses are held throughout the UK in most major cities such as London, Manchester, Edinburgh, Glasgow, Essex, Newcastle, Nottingham, Portsmouth, Cardiff and many more. 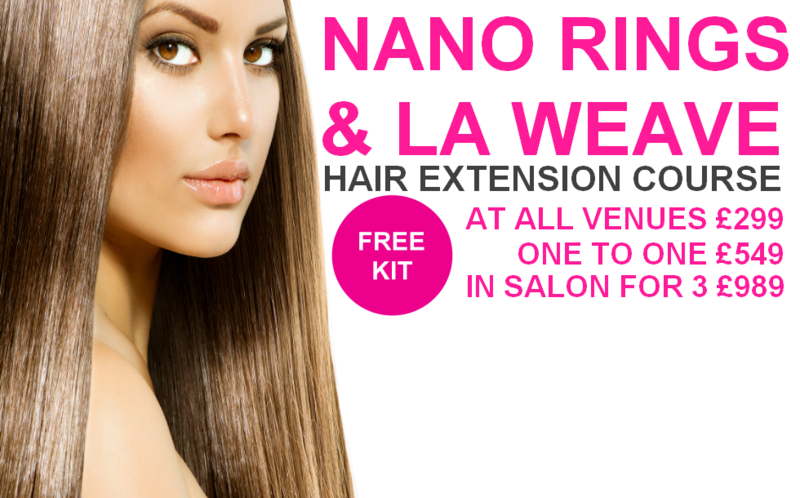 We look forward to welcoming you on your first step into the fabulous world of Hair Extensions! Hair extensions are a wonderful art that will challenge, satisfy and reward you with increased earnings! It is now estimated that the market for Hair Extensions is worth £3.7 billion per year. KM Hair Extension Training has very extensive experience of the hair extension business. After attending one of our hair extension training courses you could soon be earning anything from £300 - £2000+ per week by fitting hair extensions. Some high street salons are now charging anything from £399 - £1500 per booking for hair extensions, is it not time you became a Professional Hair Extensionist / Hair Extension Consultant in this wonderful art? KM Hair Extension Training has become the fastest growing and leading UK hair extension training company, with a great portfolio of trainees from individuals to Salons, through the UK and Spain. 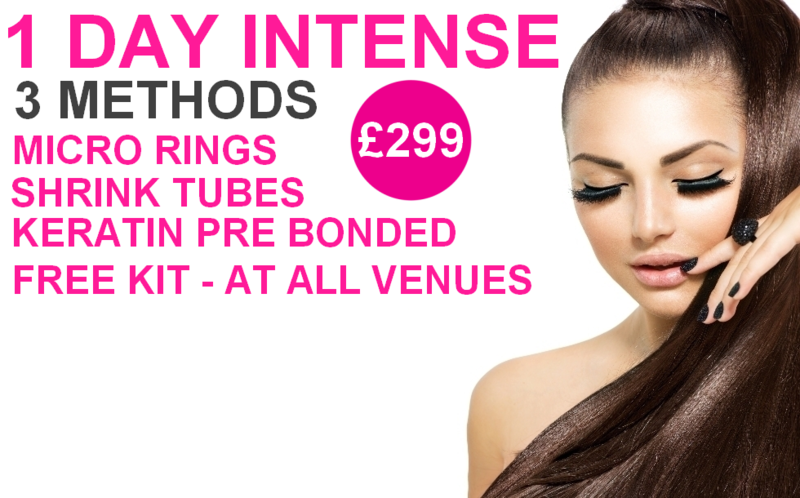 We have even trained some big name salons such as Toni & Guy in the KM Hair Extension methods. We also train on a third party basis for some well know hair companies and international wholesalers. 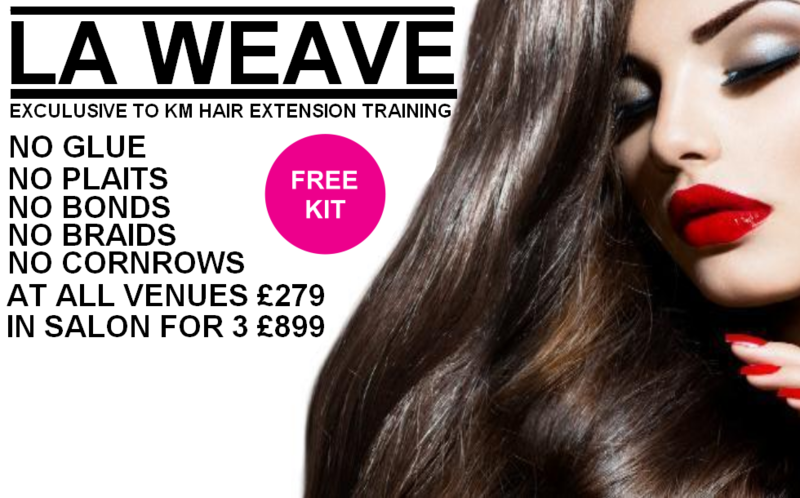 KM Hair Extension Training has designed our hair extension training courses with you in mind. There are no exams to take, in fact we have tailor made all our courses so that anyone can attend. Unlike many others we do not just train you, say goodbye and sell you our products. 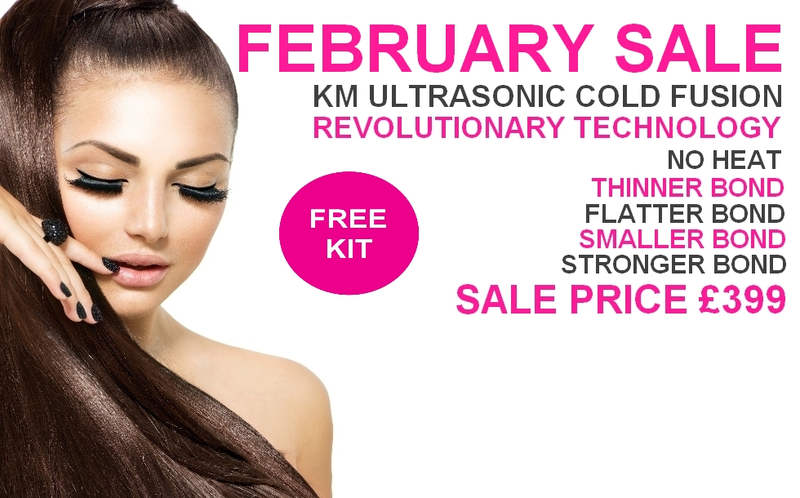 We like to keep in touch with all our Hair Extensionists and offer you ongoing professional support at no extra cost, you can access all this and much more through your own unique KM Hair Extension Training Student Account. KM Hair Extension Training does not sell you any products, we aim to give you the best hair extension training on the market, we do not feel it is fair for you to be tied in to using one supplies when there are so many. All your courses come with a suppliers list that KM Hair Extension Training is not affiliated with, we boast the biggest, varied human hair supplier list of any other training company. Please feel free to browse our website. Take the opportunity to look at hair extension training courses and if you have and if you have any questions then do not hesitate to contact us. Our hair extensions training courses are held in venues throughout the UK in cities such as London, Manchester, Leeds, Liverpool, Newcastle, Birmingham, Cardiff, Bristol, Brighton, Portsmouth, Edinburgh and Glasgow. As specialist hair extension training provider, we are not a supplier, we give you supplier details. All our students get full support and re fresher training at no extra cost.